I should never, ever, be allowed to announce what I plan to read. I don’t know why, but as soon as I tell someone “I’m going to read _____” I get distracted by something else! Yesterday was a fairly busy day for me (I got volunteered to help split firewood all afternoon), so I didn’t do much reading, but I did finish Ink Exchange by Melissa Marr this morning. I’ve now started The Quillan Gamesby D.J. MacHale (having given up all hope on Jonathan Strange after making it only 60 pages in a day during which I had plenty of time to read. I’ll finish it eventually.) I don’t know how far I’ll get into Quillan Games but I’m much more likely to finish it than anything else on my list! Which two authors would you pair up to co-write a book, and what would it be about? This would likely follow Riordan’s style of “new hero for the gods” but Brennan would bring a dark fantasy element that Riordan needs to bring his novels out of the YA over-hyped realm and into mainstream. Riordan could keep Brennan’s tendency for attempting high fantasy a little too often into check, while their collective sense of humour would combine into something extremely awesome. To allow them their space (if they should need it) Brennan would write from the perspective of Puck, and by extension the faerie courts. Riordan would then write a new, young character, who has to work with Puck to save Oberon and Titania from “mythicism” (people believe, but they believe in a storybook kind of way) because Oberon and Titania are too busy fighting over something or other. (ooh, OR Riordan could write from the point of view of the little “Indian” boy the two are supposedly fighting over at the beginning of Shakespeare’s play – and he has to work with Puck, even though he hates all faeries… not sure why they’re working together yet though). Choose a character from the book you’re currently reading and answer the following questions in the comments of this post. What historical figure do you think they could have been in a past life? Why did you choose this figure? What similarities do the two share? Be sure to tell us the book and the character you chose. As I’m not very far into the book, and therefore have a restricted cast of characters, I’m going to choose Mr. Norrell himself. I think in his past life, he was an unknown student of either Plato or Socrates. His absolute desperation to believe that the only truth is one that can be found academically, either in a book (though several books spout blasphemy) or through one’s own research, is very strict. This makes me think he had a very, very learned teacher, who read a lot of books, from which Norrell (or his former self) got the idea that that was the only way to learn. I know my choice is a little unorthodox, but I really think that’s the best way to describe him. Just a short update on progress – I’m nearing a 3rd of the way through Jonathan Strange and Mr. Norrell I hope to actually finish it tomorrow, though that’s pushing it. Cross your fingers! Out with a Bang Read-a-thon Kick Off! So I completely thought this started tomorrow until I started seeing all the posts in my feed. Whoops! I feel like an idiot now! Finish Jonathan Strange & Mr. Norrell by Susanna Clarke (I’m about 60 pages in, but this thing is a veritable tome of 750+ pages, so I feel that doesn’t really count). If and when I finish that, and there is time left, I’d like to read Shadow of the Lion by Mercedes Lackey. Then maybe Beyond The Shadows by Brent Weeks. Media Review: The Doctor Who Christmas Special! 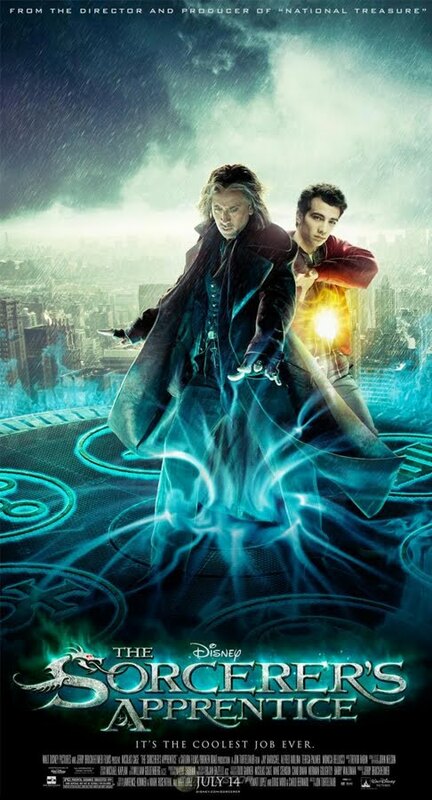 Finally a chance to review something Doctor Who! 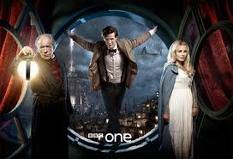 For those who don’t know, I am an avid Doctor Who (New Who) fan. I have watched every single episode since 2005 (in the past year and a half – I was not aware of it when it first came on as I live in boring old America in the middle of nowhere ergo no cable). There are so many wonderful things about the whole series that I could go on forever and ever. I have converted several friends to the Doctor Who phenomenon, and therefore have several people to discuss my obsession with in real life, but even my most obsessed friends get tired of hearing it. What can I say, I am obsessed. But, to do my best to spare you excess squee-age, I am going to limit myself to a single post per episode mentioning Doctor Who (plus the countdown on the side when it’s not on) and if you don’t wish to hear about it (or don’t wish to be spoiled if you haven’t seen it yet) then you can just not read it. Side note: These posts probably won’t be a review as such, because I’m slightly ADD about my obsessions, and because many of them will probably be far too excited to give a fair review. They will mostly be a collection of thoughts, more for myself and the few other obsessed fanpeople out there who care. Vague plotline: Amy and Rory are on their honeymoon on a ship that is about to crash if they can’t unlock the clouds to see where they’re going. The one man who can do so, Kazran Sardick, is a mean old miser who doesn’t care if they die. 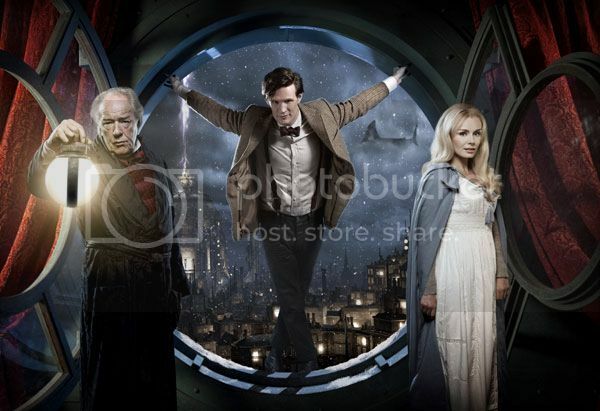 The Doctor sets out to change his mind with a little inspiration from Charles Dickens. Wow. I mean, really, the Christmas episodes are usually just fun but wow! This one was meaningful too. I loved the epic moral question at the end – if you know you only have one day with your beloved left, but you can choose which one, which do you choose? Nice little trick with the video thing, can’t imagine how awful it would be to watch your memories change. Weird though, how they did that. And what happened to the time paradox thing? Sure time can be rewritten, but does it really happen so that Sardick watches his memories change in the future? Cause if that’s the way it was, that’d be awful for everyone who has the Doctor show up in their lives. It’d be like (present) Amy not remembering the Doctor and then suddenly remembering (past) Amy meeting the Doctor and going to 4 psychiatrists without actually doing it – and that would just be weird. Anywho I’m skeptical. Makes for a great story though. Half a screwdriver and it still works? Again, I’m skeptical, though I suppose it’s a possibility. They did the props really well to make it look believable at least. I’d like to point out that Moffat seems to have a thing for destroying screwdrivers – this is the second in a year, in all 4 previous series’ it was only destroyed once. But again, makes for a good story, so he can be forgiven. Also loved the love story aspect. It was a tiny bit far-fetched, but so well played! P.S. Anyone catch what the Doctor says before “Don’t make my mistakes?” I’m so curious, but for some reason I can’t manage to figure it out! The suspense around that number was killing me! I want to know what she was ill of now, because she doesn’t particularly seem ill. I thought maybe it was times the ice box could be used or something, though when she turned around to tell Kazran, I figured it must be something pretty awful about her. Still, I’m curious, she didn’t seem all that sick and Sardick has tons of money, why can’t he get her a Doctor? Or did she even die in the first place? Doctors can be wrong you know. The only thing I’m really not ok with? How come Sardick can hug his younger self?! “Father’s Day” anyone? Let’s not have those really creepy time eater thingys come and spoil the moment, shall we? 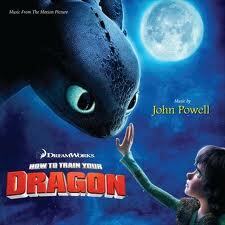 And finally, Katherine Jenkins did a gorgeous job on the song at the end. So beautiful, so meaningful, and so full of the word silence! (anyone else catch that?) I’m hoping it’s significant, because I love to grab on to clues and put them together, but I may be reading way too much into it. OK, now I got that out of my system. Review: When I decided to go see Tangled yesterday with a friend, I was a little worried I’d be stuck in a theater full of young children (we went to an early matinee showing) and end up thinking the movie was cheesy and not worth my time. I was SO proven wrong. OK, I’ll admit, I’m still a sucker for Disney stories, but they haven’t put out one that I’ve loved like the classics in a very long time. This one definitely made the running. The main thing I liked was how they made the story of Rapunzel make so much more sense. I’ve been in a fairytales class this past semester and one of the things we talked about (in relation to Sleeping Beauty) was how so much was left out and the things that were left in made no sense whatsoever (cursing a baby to death because you didn’t get a golden plate? Really?). Tangled takes all these things that make no sense and makes them life-like and believable, simply by explaining differently, in a clever way. I also loved that Flynn is actually not a prince. Granted, I can see the sequel being all about who he is and maybe, as he’s *SPOILER* an orphan he’s somehow related to royalty somewhere. But I sincerely hope not! I mean really, why can’t a thief save the princess just as easily as a prince? And “because it’s not convenient” is NOT an acceptable answer. That’s it for me until after Christmas (I need some time to actually read some of the books I have so I can do reviews!). I hope to make a few changes around the blog, since I have some time for designing things (like a button, and a few directory pages) but there will not be any official posts. So, have a Happy Holidays and Happy New Year! It’s time for the hop again! You mean I can’t have both? Honestly though, you can’t have a good story without both. Think of all the books you loved over the years. Maybe you remember the characters, but I bet you remember the plot too. For me, especially as a writer, the two are practically inseparable. If you don’t have good characters your plotline will suffer. And of course, vice versa, if your plotline is awful or just doesn’t fit the characters you have chosen, your characters will come across as inconsistent or lacking in some way. So yeah, basically my answer is: this is a trick question. Does anyone else get that song stuck in their head when they see this? Anywho, week two of Christmas wishes! YAY! Tiffany Aching has spent years studying with senior witches, and now she is on her own. As the witch of the Chalk, she performs the bits of witchcraft that aren t sparkly, aren t fun, don t involve any kind of wand, and that people seldom ever hear about: She does the unglamorous work of caring for the needy. My Reasons: Want. As in Epic Want. I’ve been following this series since its beginning and I absolutely love the Wee Free Men, Tiffany and all the rest of the gang. I want to know what happens next, whether Roland stops being an idiot and if Wentworth ever learns how to not be sticky. Then again, I am a bit prejudiced. I have half a shelf devoted to my Pratchett books (completely by accident – I alphabetize and one entire shelf is devoted to Tamora Pierce and Terry Pratchett simply because they happen to be near each other in the alphabet). My Reasons: I’ve actually loved this one for a while, and it’s definitely already out. I just haven’t sprung for a copy yet. I’ve seen the film twice (it’s also on my Christmas List, though with only one week left it may not get featured here) and each time I’m amazed by the music just as much as the visual content – an automatic sign for me that owning the soundtrack is a must! Lori over at Pure Imagination is hosting a Potter-thon in January! It’s Saturday again which means it’s time for another Discussion day! =) Thank you to everyone who participated last week, I found your answers really interesting! What is one book that is virtually unknown that you wish everyone would read? While this could be a new book that just hasn’t been hyped like Tyger, Tyger or Paranormalcy(can you tell what genres I usually read? 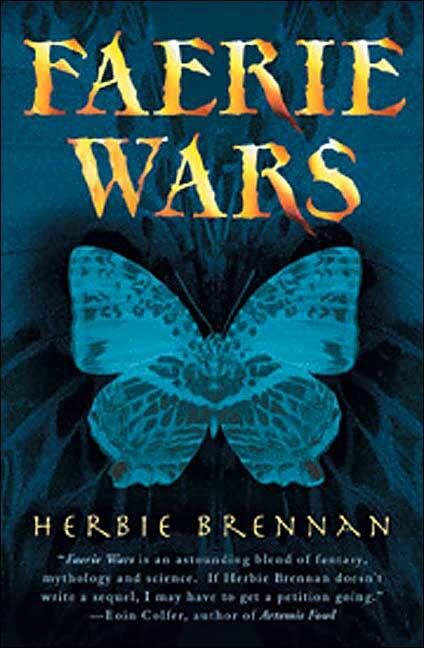 lol), it could also be a book that came out before the phenomenon of Harry Potter and Twilight hype got publishers started on hyping.My title for this is the Faerie Wars Series by Herbie Brennan. I grew up with this series. It got me through the times between Harry Potters and… well the times between other Harry Potters. I sat on this series, waiting for the next just as excitedly as for Harry Potter 4 (which I was waiting for when I first bought this one, I believe). 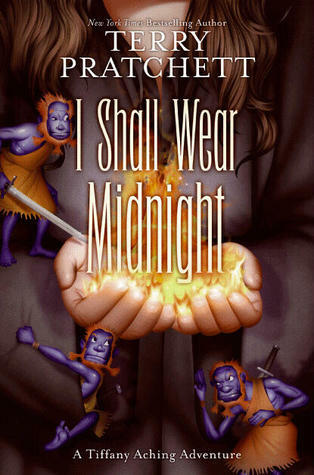 This was my first YA after Harry Potter, and it has stuck with me through everything. And yet (and this is what I find hardest to believe) NONE of my book friends seem to know it. I have such a hard time discovering that a book that has been absolutely influential to my life is virtually unknown (from what I can tell). So, I try to spread the word as best I can.What are your novels like this? How do you get people to read them, and why do you think they deserve recognition? I am soooo excited for this. It’s being hosted by Casey at The Bookish Type and Heather at Book-Savvy. Here’s what they have to say about it:The Readathon will run from December 29 – 31 and participants will be reading as many books as they can during that time! This Readathon is mainly to finish off the fabulous debuts for the Debut Author Challenge, but participants don’t have to focus on that category if they have non-debut books that they would like to finish before 2010 ends.